Every day, there are millions of packages delivered throughout the globe. Though the number is already huge, there is actually about 5% of parcels that are either not delivered on time or never reached their destinations. These delays have caused retailers, who rely upon courier services to transport their goods to their recipients, to pay the damage. With several factors affecting the success of deliveries, you’d want to know the main reason behind the problem. In a recent study, Addressy, a platform that verifies and validates address on the web, surveyed 300 retailers and over 2,000 online consumers to determine why a delivery failure occurs, and what needs to be done to prevent this. 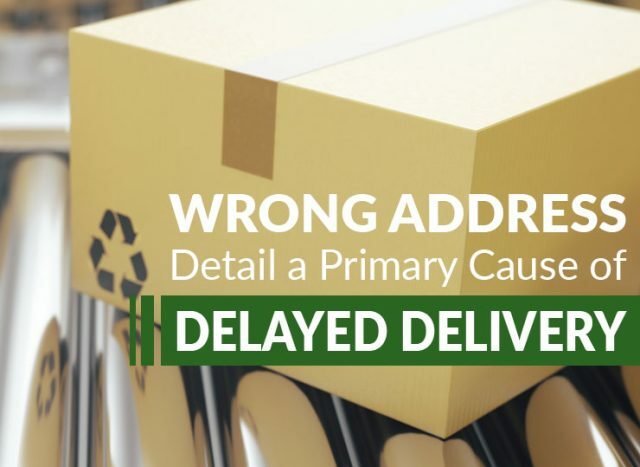 As it turns out, the primary culprit for a delayed delivery is the wrong input of address details. “We found out that retailers not collecting accurate address data is the primary reason why orders do not arrive on time, but customers do not appear to realise this,” the company writes in the report. The study also revealed that in 2017, the average cost of a single failed delivery to a retailer was about €14 as they either refund the delivery fees to the customer, pay for redelivery charges or offer a discount as an apology. A failed delivery cost retailers a lot of money. But, more than that, it also damages their name that turns off existing customers. Therefore, while it’s important to be keener on details, it’s also imperative to find a courier service company that not only provides your needs but puts greater importance on your reputation as a business as well.